9781101967324, titled "This Census-Taker" | Del Rey, January 12, 2016, cover price $24.00 | About this edition: For readers of George Saunders, Kelly Link, David Mitchell, and Karen Russell, This Census-Taker is a stunning, uncanny, and profoundly moving novella from multiple-award-winning and bestselling author China Miéville. 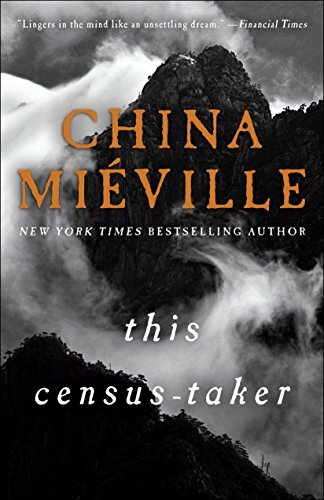 9781101967348, titled "This Census-taker" | Del Rey, January 3, 2017, cover price $15.00 | About this edition: For readers of George Saunders, Kelly Link, David Mitchell, and Karen Russell, This Census-Taker is a stunning, uncanny, and profoundly moving novella from multiple-award-winning and bestselling author China Miéville. 9780345543998 | Del Rey, August 9, 2016, cover price $25.00 | About this edition: A thriller of war that never was—of survival in an impossible city—of surreal cataclysm. 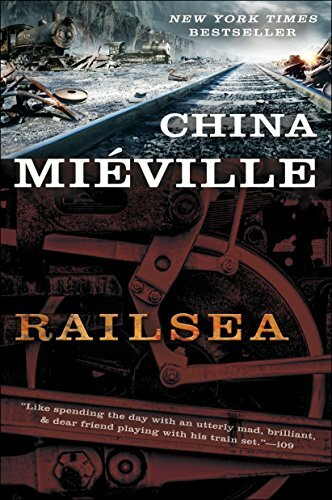 9781101884720 | Del Rey, August 4, 2015, cover price $27.00 | About this edition: NAMED ONE OF THE BEST BOOKS OF THE YEAR BY The Washington Post • NPR • The Guardian • Kirkus Reviews • The fiction of multiple award–winning author China Miéville is powered by intelligence and imagination. 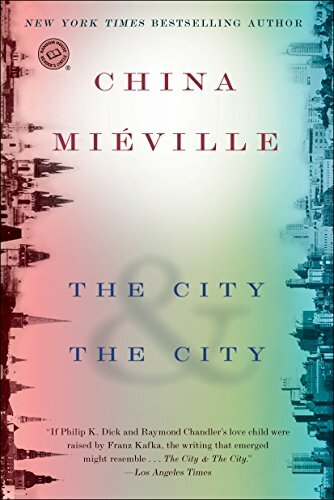 9781101884782 | Del Rey, June 7, 2016, cover price $16.00 | About this edition: NAMED ONE OF THE BEST BOOKS OF THE YEAR BY The Washington Post â¢ NPR â¢Â The GuardianÂ â¢Â Kirkus ReviewsÂ â¢ The fiction of multiple awardâwinning author China MiÃ©ville is powered by intelligence and imagination. 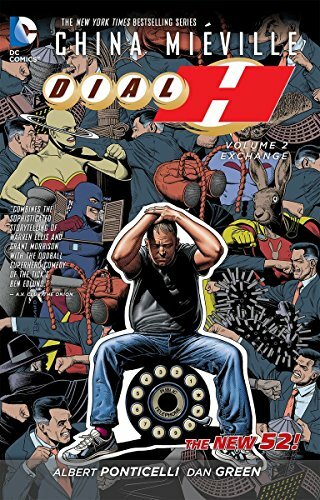 9781401243838 | Dc Comics, February 11, 2014, cover price $16.99 | About this edition: What would happen if you discovered the H Dial, an unbelievably powerful artifact that turned you into a super hero? 9781596064102 | Sgd ltd edition (Subterranean, September 30, 2011), cover price $75.00 | About this edition: Welcome to Arieka, the distant, densely imagined planet that serves as principal setting for China Mieville's extraordinary new novel, Embassytown. 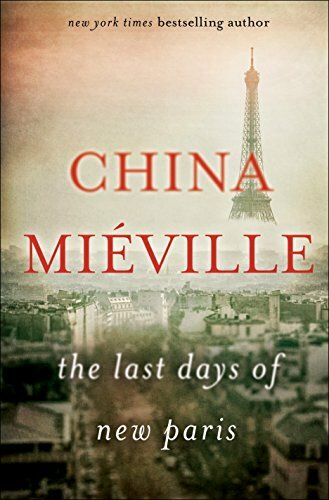 9780345524492 | Del Rey, May 17, 2011, cover price $26.00 | About this edition: China Miéville doesn’t follow trends, he sets them. 9780345524508 | Reprint edition (Del Rey, January 31, 2012), cover price $16.00 | About this edition: NEW YORK TIMES BESTSELLERIn the far future, humans have colonized a distant planet, home to the enigmatic Ariekei, sentient beings famed for a language unique in the universe, one that only a few altered human ambassadors can speak. 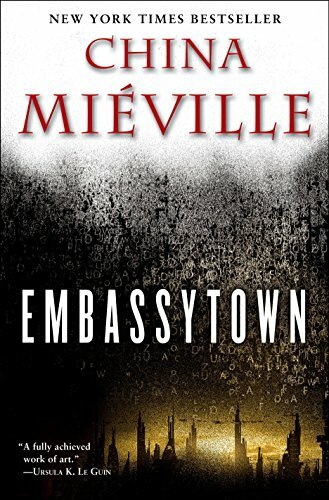 9780345524515 | Del Rey, May 17, 2011, cover price $25.00 | About this edition: First US edition of China Mieville's Embassytown. 9781617074332 | Unabridged edition (Random House, May 17, 2011), cover price $64.99 | About this edition: Welcome to Arieka, the distant, densely imagined planet that serves as principal setting for China Mieville's extraordinary new novel, Embassytown. 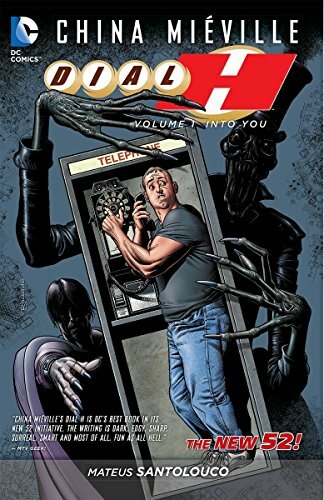 9781401237752 | Dc Comics, April 23, 2013, cover price $14.99 | About this edition: A New York Times Bestseller! 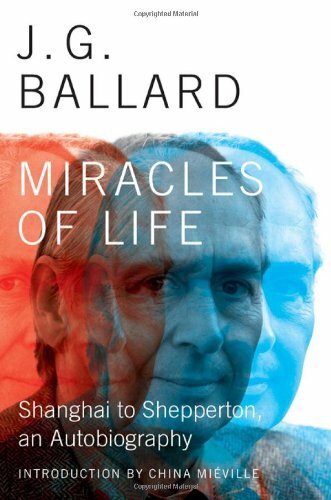 9780871404206 | Reprint edition (Liveright Pub Corp, February 4, 2013), cover price $25.95 | About this edition: A final statement from the greatest clairvoyant of twentieth-century literature. 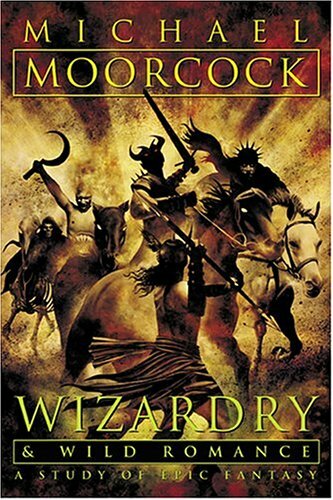 9780230765108 | Pan Macmillan, May 24, 2012, cover price $27.85 | About this edition: On board the moletrain Medes, Sham Yes ap Soorap watches in awe as he witnesses his first moldywarpe hunt. 9780345524522 | Del Rey, May 15, 2012, cover price $18.00 | About this edition: On board the moletrain Medes, Sham Yes ap Soorap watches in awe as he witnesses his first moldywarpe hunt: the giant mole bursting from the earth, the harpoonists targeting their prey, the battle resulting in one’s death and the other’s glory. 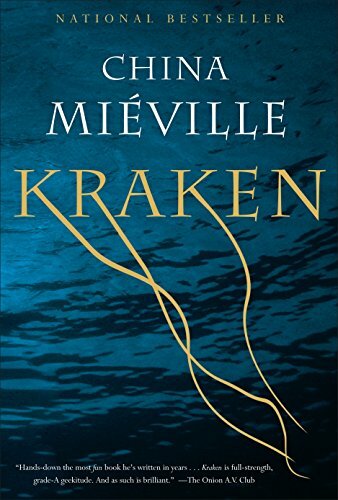 9780345524539 | Reprint edition (Del Rey, April 30, 2013), cover price $12.00 | About this edition: “Other names besides [Herman] Melville’s will surely come to mind as you read this thrilling tale—there’s Dune’s Frank Herbert. 9780606270168 | Turtleback Books, April 30, 2013, cover price $22.10 | About this edition: FOR USE IN SCHOOLS AND LIBRARIES ONLY. 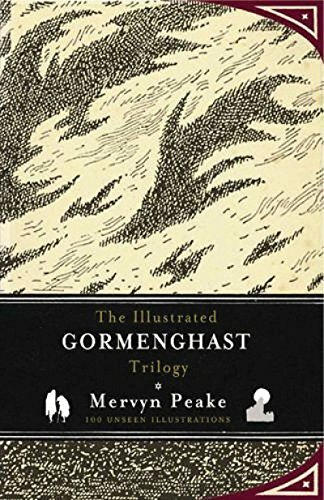 9781590207178 | Overlook Pr, October 27, 2011, cover price $40.00 | About this edition: Enter the world of Gormenghast. 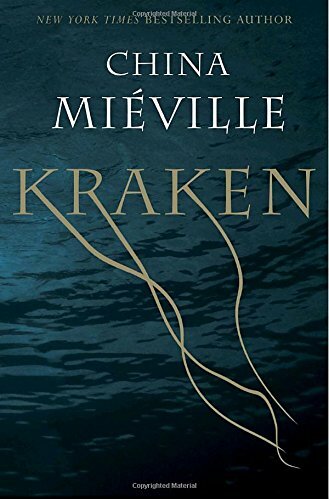 9780345497499, titled "Kraken: An Anatomy" | Del Rey, June 29, 2010, cover price $26.00 | About this edition: With this outrageous new novel, China Miéville has written one of the strangest, funniest, and flat-out scariest books you will read this—or any other—year. 9780345497505 | Reprint edition (Del Rey, March 15, 2011), cover price $17.00 | About this edition: With this outrageous new novel, China Miéville has written one of the strangest, funniest, and flat-out scariest books you will read this—or any other—year. 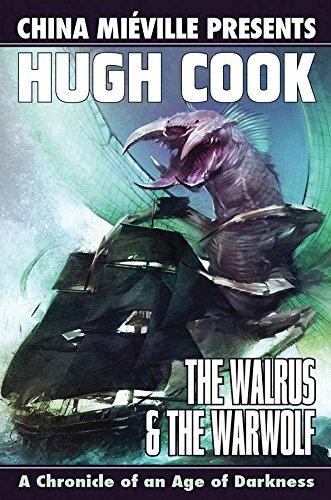 9781601252142, titled "The Walrus & The Warwolf: The Walrus & the Warwolf" | Paizo Pub Llc, June 8, 2010, cover price $17.99 | About this edition: On his 16th birthday, churlish Drake Douay finds himself exiled from his homeland amid a treacherous crew of pirates on the open sea. 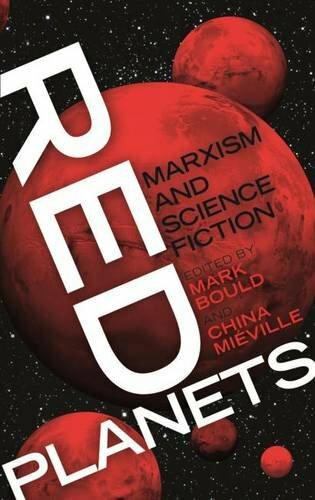 9780819569134 | Wesleyan Univ Pr, September 8, 2009, cover price $27.95 | About this edition: Science fiction and socialism have always had a close relationship. 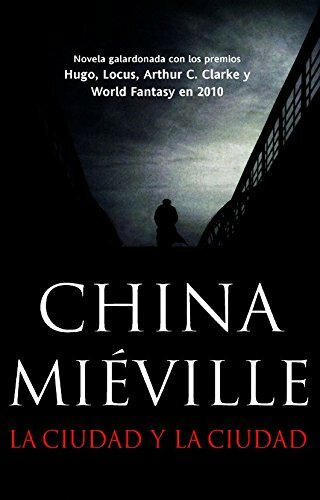 9780345497512 | Del Rey, May 26, 2009, cover price $26.00 | About this edition: New York Times bestselling author China MiÃ©ville delivers his most accomplished novel yet, an existential thriller set in a city unlike any otherâ€“real or imagined. 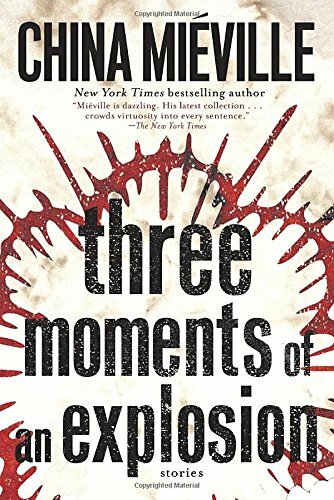 9780345497529 | Reprint edition (Del Rey, April 27, 2010), cover price $16.00 | About this edition: NAMED ONE OF THE BEST BOOKS OF THE YEAR BY THE LOS ANGELES TIMES, THE SEATTLE TIMES, AND PUBLISHERS WEEKLY When a murdered woman is found in the city of Beszel, somewhere at the edge of Europe, it looks to be a routine case for Inspector Tyador Borlú of the Extreme Crime Squad. Beneath the towering bleached ribs of a dead, ancient beast lies New Crobuzon, a squalid city where humans, Re-mades, and arcane races live in perpetual fear of Parliament and its brutal militia. The air and rivers are thick with factory pollutants and the strange effluents of alchemy, and the ghettos contain a vast mix of workers, artists, spies, junkies, and whores. In New Crobuzon, the unsavory deal is stranger to none—not even to Isaac, a brilliant scientist with a penchant for Crisis Theory.Isaac has spent a lifetime quietly carrying out his unique research. But when a half-bird, half-human creature known as the Garuda comes to him from afar, Isaac is faced with challenges he has never before fathomed. Though the Garuda's request is scientifically daunting, Isaac is sparked by his own curiosity and an uncanny reverence for this curious stranger.While Isaac's experiments for the Garuda turn into an obsession, one of his lab specimens demands attention: a brilliantly colored caterpillar that feeds on nothing but a hallucinatory drug and grows larger—and more consuming—by the day. What finally emerges from the silken cocoon will permeate every fiber of New Crobuzon—and not even the Ambassador of Hell will challenge the malignant terror it invokes . . .A magnificent fantasy rife with scientific splendor, magical intrigue, and wonderfully realized characters, told in a storytelling style in which Charles Dickens meets Neal Stephenson, Perdido Street Station offers an eerie, voluptuously crafted world that will plumb the depths of every reader's imagination.From the Trade Paperback edition. 9781597800242 | Limited edition (Nightshade Book, April 30, 2006), cover price $75.00 | About this edition: Beneath the towering bleached ribs of a dead, ancient beast lies New Crobuzon, a squalid city where humans, Re-mades, and arcane races live in perpetual fear of Parliament and its brutal militia. 9780345459404 | Del Rey, August 1, 2003, cover price $7.99 | About this edition: In the squalid, gothic city of New Crobuzon, a mysterious half-human, half-bird stranger comes to Isaac, a gifted but eccentric scientist, with a request to help him fly, but Isaac's obsessive experiments and attempts to grant the request unleash a terrifying dark force on the entire city. 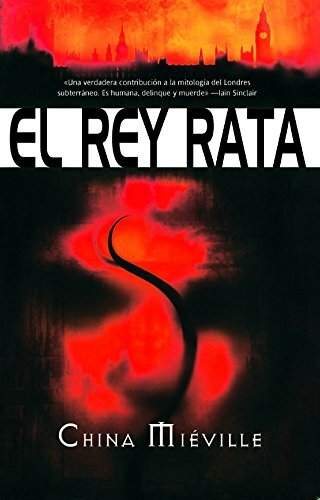 9780345443021 | Del Rey, March 1, 2001, cover price $18.00 | About this edition: In squallid and brutal New Crobuzon, a Garuda requests eccentric crisis theorist Isaac to work with lab specimens, particularly a caterpillar that feeds on a hallucinatory drug until its evolution, when it will invoke malignant terror. 9780345464026 | Del Rey, July 1, 2004, cover price $24.95 | About this edition: A new cast of characters shares mythical adventures in the sprawling, phantasmagoric city of New Crobuzon. 9780345458421 | Reprint edition (Del Rey, July 26, 2005), cover price $16.95 | About this edition: A new cast of characters shares mythical adventures in the sprawling, phantasmagoric city of New Crobuzon. 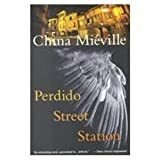 9781435293298 | Reprint edition (Paw Prints, May 29, 2008), cover price $25.95 | About this edition: Following Perdido Street Station and The Scar, acclaimed author China MiÃ©ville returns with his hugely anticipated Del Rey hardcover debut. 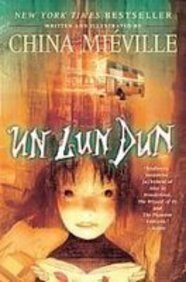 9780230015869 | Pan Macmillan, April 6, 2007, cover price $22.45 | About this edition: Zanna and Deeba are two girls leading ordinary lives, until they stumble into the world of UnLondon, an urban Wonderland where all the lost and broken things of London end up and some of its lost and broken people too. 9780345495167 | Del Rey, February 13, 2007, cover price $17.95 | About this edition: Stumbling into an alternate funhouse version of her home city, twelve-year-old Londoner Deeba finds herself trapped in a world of killer giraffes, animated umbrellas, and ghost children, and must take on the role of savior to prevent utter destruction. 9780330450393 | Pan Macmillan, February 1, 2008, cover price $11.85 | About this edition: Stumbling through a secret entrance, Zanna and Deeba emerge in the strange wonderland of UnLondon. 9780345458445 | Reprint edition (Del Rey, January 29, 2008), cover price $9.95 | About this edition: Stumbling into an alternate funhouse version of her home city, twelve-year-old Londoner Deeba finds herself trapped in a world of killer giraffes, animated umbrellas, ghost children, and flying double-decker buses and menaced by a choking black smog, and is forced to take on the role of unlikely savior to prevent utter destruction. 9781439550656 | Reprint edition (Paw Prints, September 18, 2008), cover price $18.00 | About this edition: The iron wheel began to spin, slowly at first, then faster and faster. 9781417807468 | Turtleback Books, January 29, 2008, cover price $19.65 | About this edition: FOR USE IN SCHOOLS AND LIBRARIES ONLY. 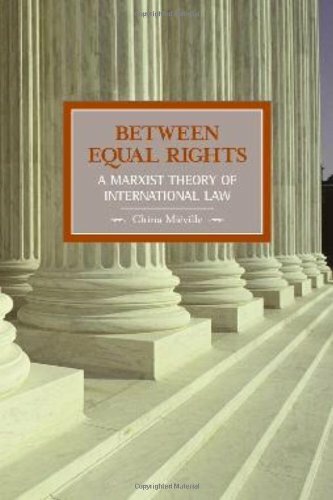 9789004131347 | Brill Academic Pub, January 30, 2005, cover price $120.00 | About this edition: This book critically examines existing theories of international law and makes the case for an alternative Marxist approach. 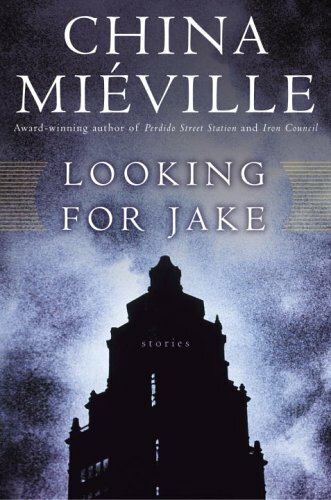 9781931859332 | Haymarket Books, July 30, 2006, cover price $28.00 | About this edition: âChina Mievilleâs brilliantly original book is an indispensable guide for anyone concerned with international law. 9781597800259 | Nightshade Book, April 30, 2006, cover price $500.00 | About this edition: Beneath the towering bleached ribs of a dead, ancient beast lies New Crobuzon, a squalid city where humans, Re-mades, and arcane races live in perpetual fear of Parliament and its brutal militia. 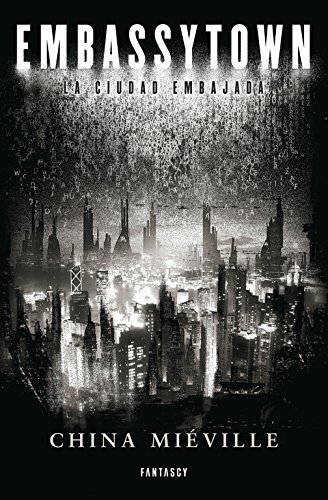 A collection of short fiction by the acclaimed author of Iron Council and Perdido Street Station features ten previously published works, as well as four original tales and another told in graphic novel format featuring artwork by Lian Sharp. Original. 25,000 first printing. 9780345476074 | Del Rey, August 30, 2005, cover price $16.00 | About this edition: A collection of short fiction features ten previously published works, as well as four original tales and another told in graphic novel format featuring artwork by Lian Sharp. Product Description: Newly revised and expanded by the author, this seminal study of epic fantasy analyzes the genre from its earliest beginnings in Medieval romances on through practitioners like Tolkien up to today's brightest lights. 9781932265071 | Monkeybrain, August 1, 2004, cover price $18.95 | About this edition: Newly revised and expanded by the author, this seminal study of epic fantasy analyzes the genre from its earliest beginnings in Medieval romances on through practitioners like Tolkien up to today's brightest lights. 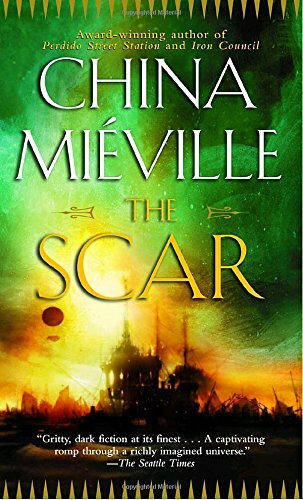 En route to the fledgling colony of New Crobuzon, a ship carrying prisoners, slaves, and a few travelers, each with their own reason for leaving the city, is attacked by pirates, who bring the surviving passengers to a strange floating city constructed upon the hulls of pirated ships, whose leaders are hiding a sinister agenda. By the author of Perdido Street Station. Reprint. 9780345449276 | Del Rey, January 1, 2002, cover price $18.00 | About this edition: A colossal fantasy of incredible diversity and spellbinding imagination. 9780345460011 | Reprint edition (Del Rey, June 1, 2004), cover price $7.99 | About this edition: En route to the fledgling colony of New Crobuzon, a ship carrying prisoners, slaves, and a few travelers, each with their own reason for leaving the city, is attacked by pirates, who bring the surviving passengers to a strange floating city constructed upon the hulls of pirated ships, whose leaders are hiding a sinister agenda. 9780345444387 | Del Rey, June 1, 2002, cover price $19.00 | About this edition: En route to the colony of New Crobuzon, a seafaring group of prisoners and slaves is joined by refugees, and when the ship is besieged by pirates, the passengers are brought to a floating city of pirated ships whose leaders harbor a sinister agenda.